Get fit and stay fit with this small group circuits based fitness class. It is a simple yet effective total body workout, designed to improve your strength, conditioning and cardio fitness. 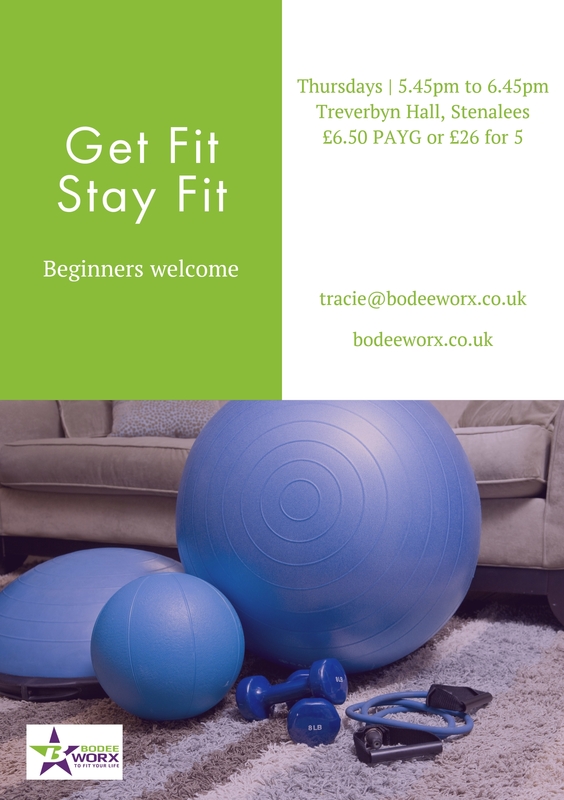 Work out at your own pace under the professional guidance of the BodeeWorx team, no matter what your age or ability. No need to book so just come along every Thursday evening from 5.45pm-6.45pm. It is a great way to meet new friends and have fun whilst improving your overall health, fitness and wellbeing. For more information please contact Sarah directly on 07842 779921. If you love this class, how about trying Kettlebells, also by BodeeWorx.